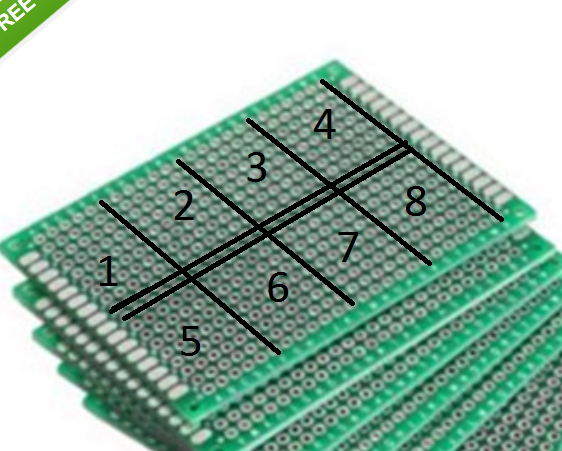 * Remember to search on 5, 10, 20, 50, 100, 500, 1000PCS, Prices for 50 pcs can be near equal to 100 pcs !!! Then solder in all the resistors. 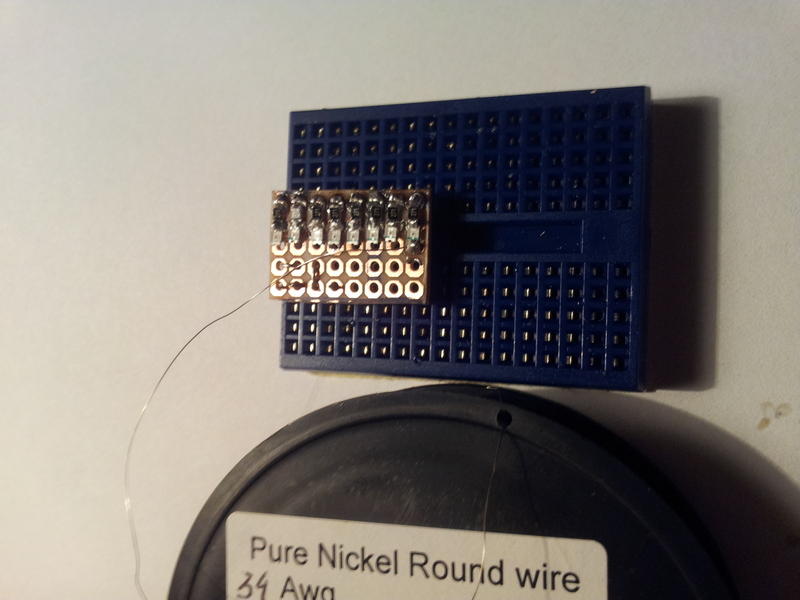 Then solder the GND connection. 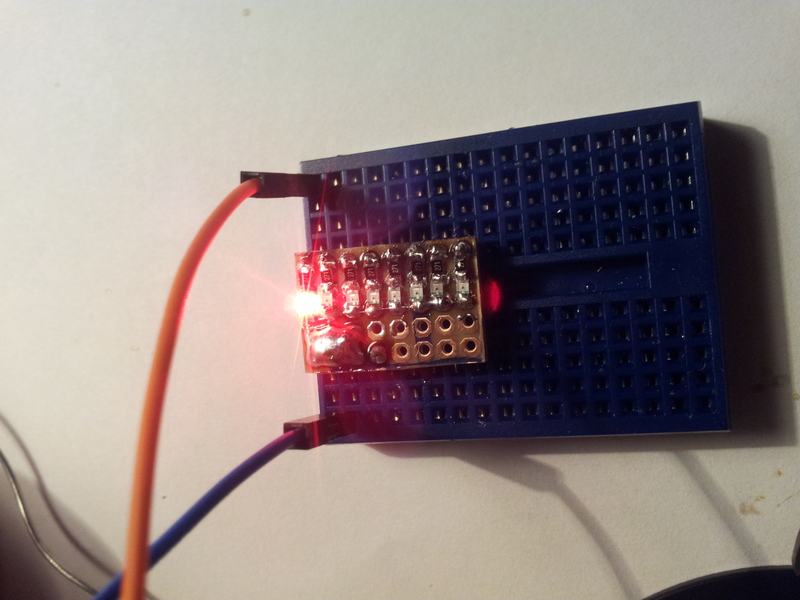 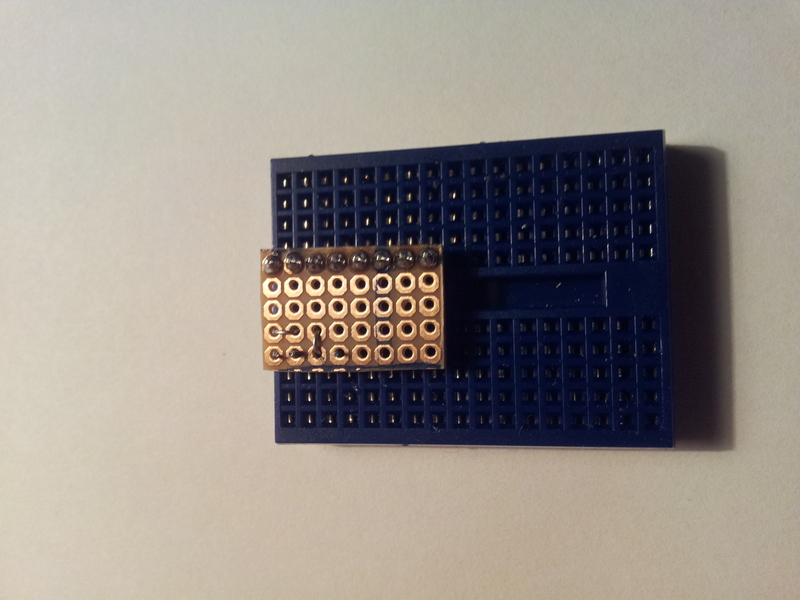 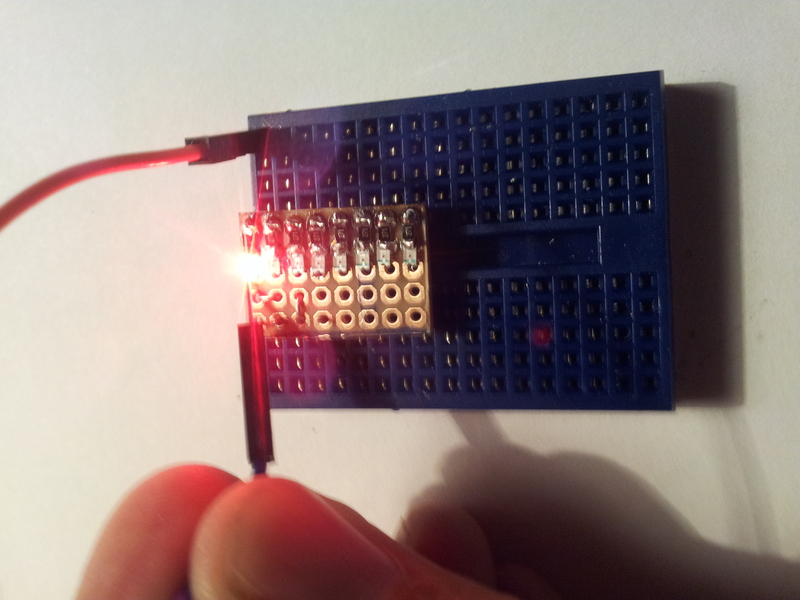 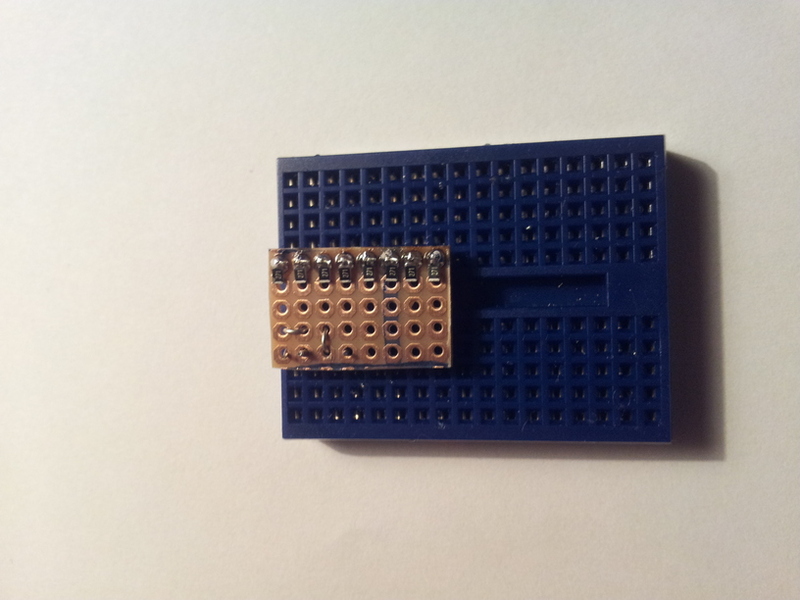 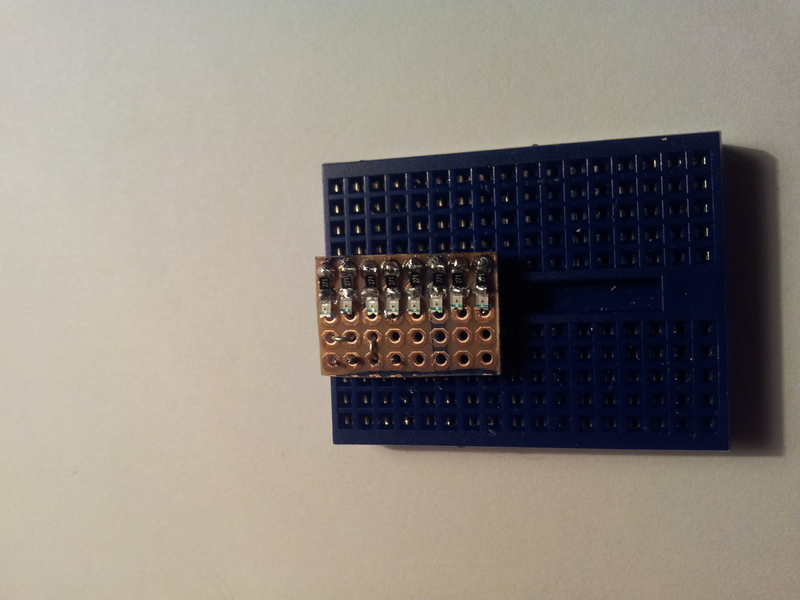 Now the board is ready to bee used in test setups. 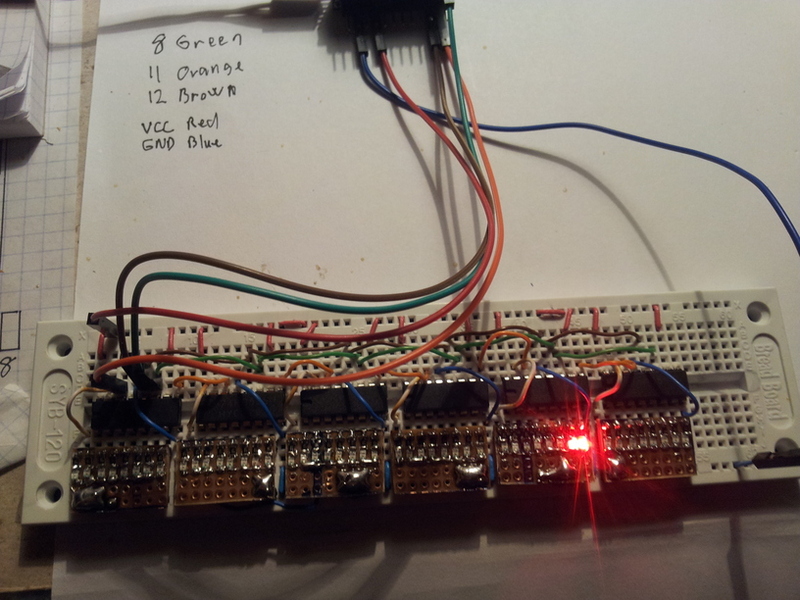 Here a test setup with 6 pcs 8 bit shiftregisters (74HC595) and an Arduino Pro Mini clone.